Looking for a tropical break in Switzerland? 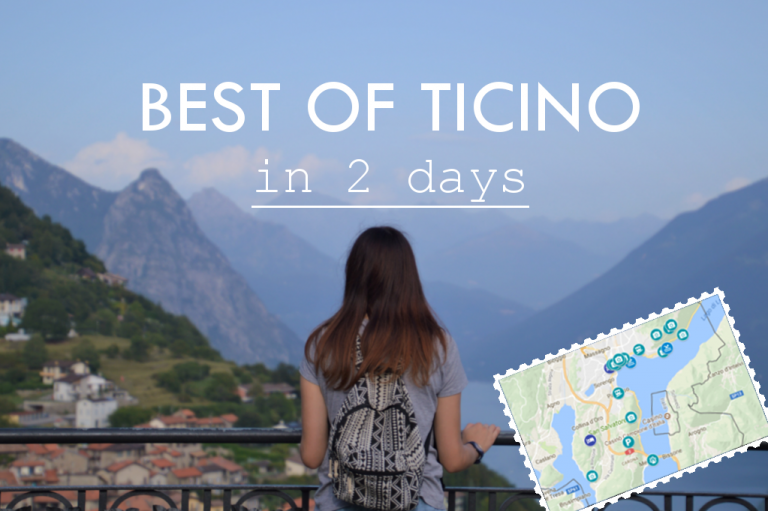 Look no further, Italian canton of Ticino is the place to visit! • To experience the tropical/Italian side of Switzerland. • If you are looking for a relaxing and luxurious break next to a beautiful lake. 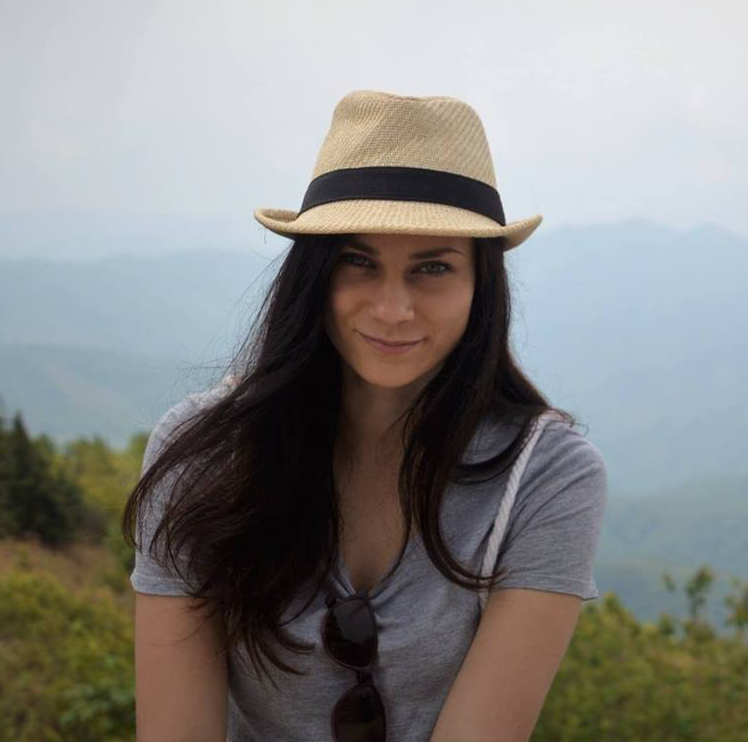 • If you wish to hike during the day but catch city vibe in the evening. 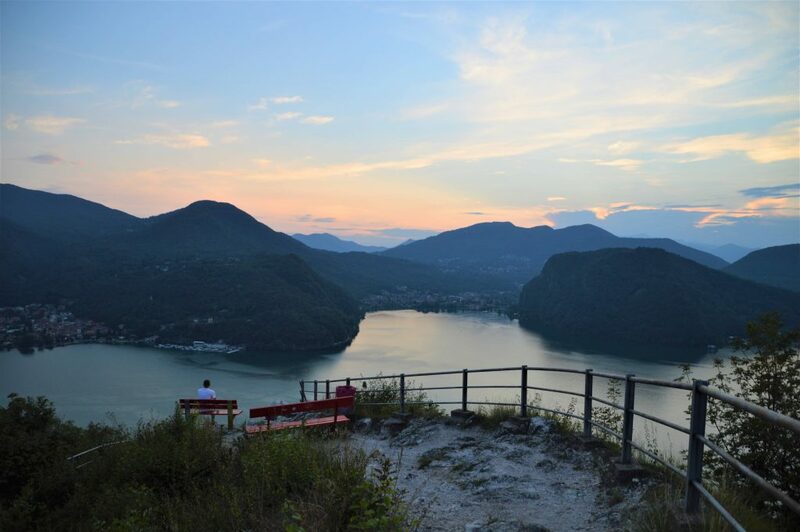 You can easily visit all of the Ticino region by just using the public transport. As I have mentioned before transport in Switzerland is a bliss. Visit SBB to check schedules and buy tickets. 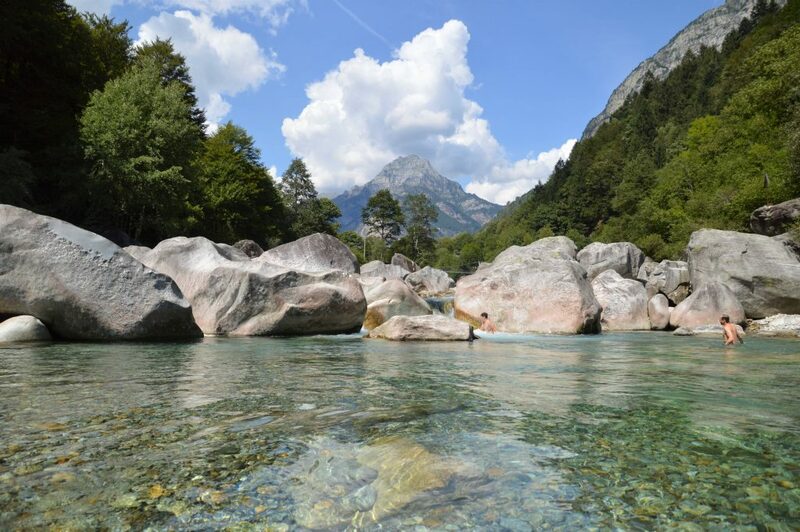 Consider buying Swiss Travel Pass if you are going to see more than just Ticino. 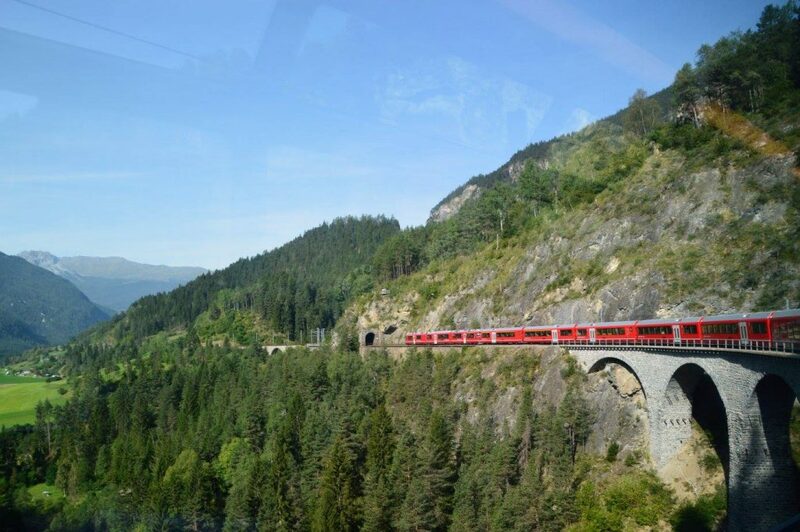 Swiss Travel Pass offers unlimited travel across Switzerland’s public transport network; some cableways and mountain trains are included in the price and loads offer discounts up to 50%. Traveling by car is easy and straightforward in all of Switzerland. Though in cities and big tourist attractions be prepared to pay high parking fees. A view from Glacier Express train ride. 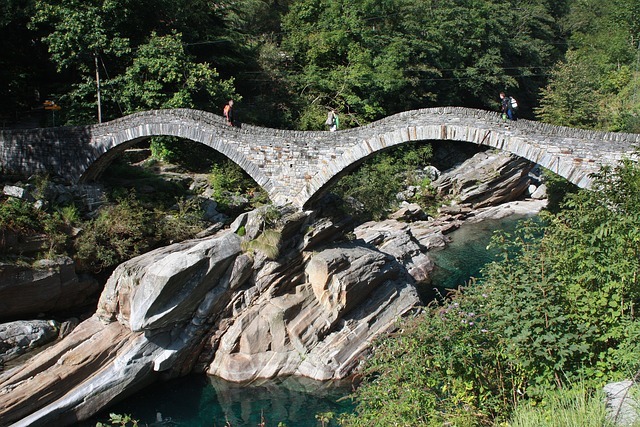 Start your day by visiting Lavertezzo in the Verzasca valley. The valley offers picture-perfect scenery with green river and giant rocks. It is a lovely place for hiking or just sunbathing during the summer months. You can also swim in the river, but the water is rather cold. There are loads of parking spaces along the road of Ponte dei salti which cost 10 francs a day. Bear in mind that during summer weekends they do get quite packed, so come early. If traveling by public transport – buses from Locarno take only 40-50 minutes. From Lugano, it will be about 1h 30 minutes to 2 hours. During hot summer weekends spots near the Ponte dei Salti can get packed. There are 2 main highlights of Lazvertezzo: the beautiful bridge – Ponte dei salti and the path that goes along the river. In my opinion, this 3-hour hike is the best one and offers most of the region. Ponte dei salti. Feeling adventurous? You can jump in the river from the bridge. 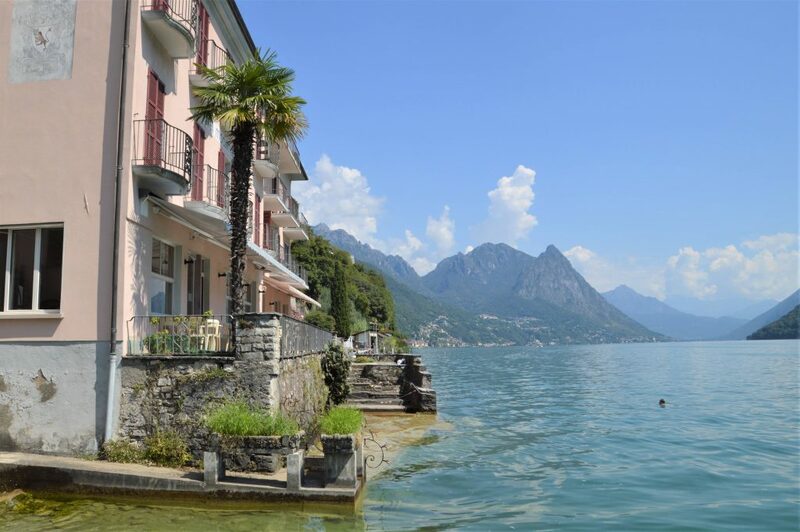 After you are finished with your hike head to Ascona-Locarno. Spend some time strolling around the streets. 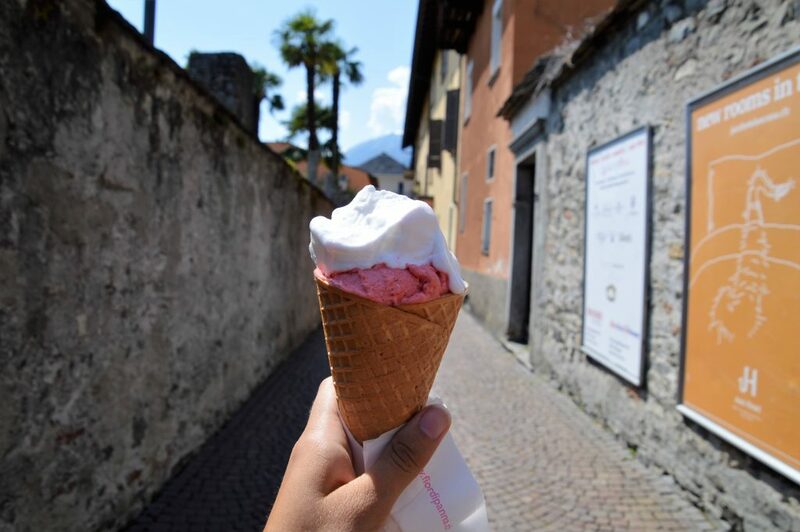 And don’t forget to get some delicious gelato! 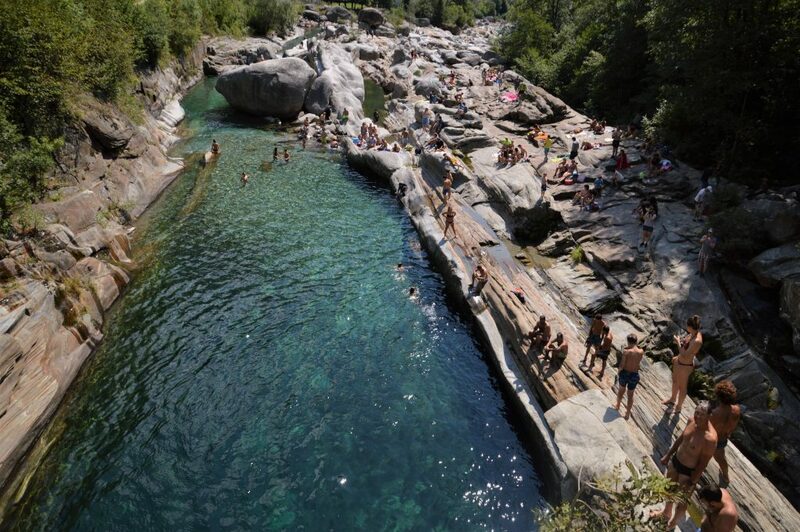 If traveling in summer and looking for a place to swim visit Lido Ascona or public beach in Locarno. Looking for a romantic end to the day? Take Locarno–Madonna del Sasso funicular. A return ticket is only 7.20 and with Swiss Pass, you will get 25% off. If you have more time in Locarno or visiting with kids check out Falconeria Locarno – an animal park with bird shows. It is 25 francs for an adult ticket. Romantic evening by the lake. 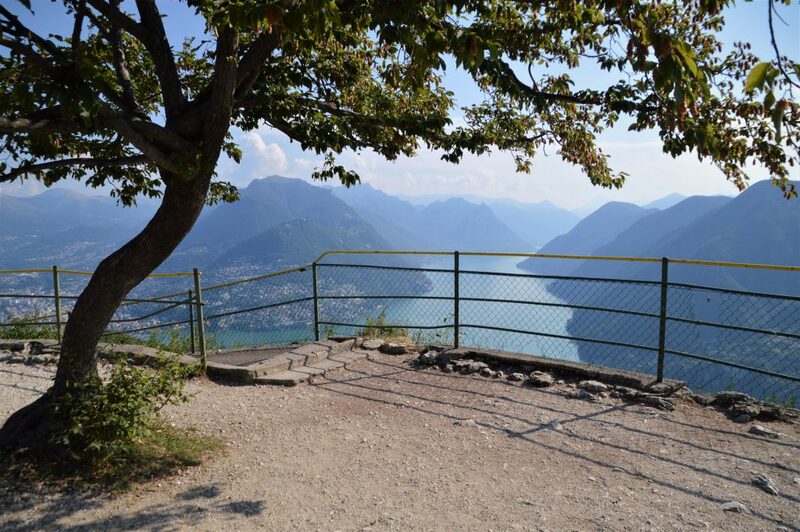 Monte San Salvatore – gives very good views over the lake. Return ticket with the funicular costs 30 francs. Alternatively, you can take a 2-hour hike from Paradiso. Or if you are traveling by car I suggest driving up to Ciona where you will find free parking spots. From there take 1-hour hike up to San Salvatore. 2. Monte Brè – Monte Brè doesn’t give such spectacular views as Monte San Salvatore. Though while there you can visit the cute village of Brè . Return funicular ticket costs 25 francs or 12.50 with Swiss Travel Pass. Or for 28.60/14.30 (Swiss Travel Pass) you can purchase cable car + boat. If traveling by car the village of Brè offers free parking spaces. 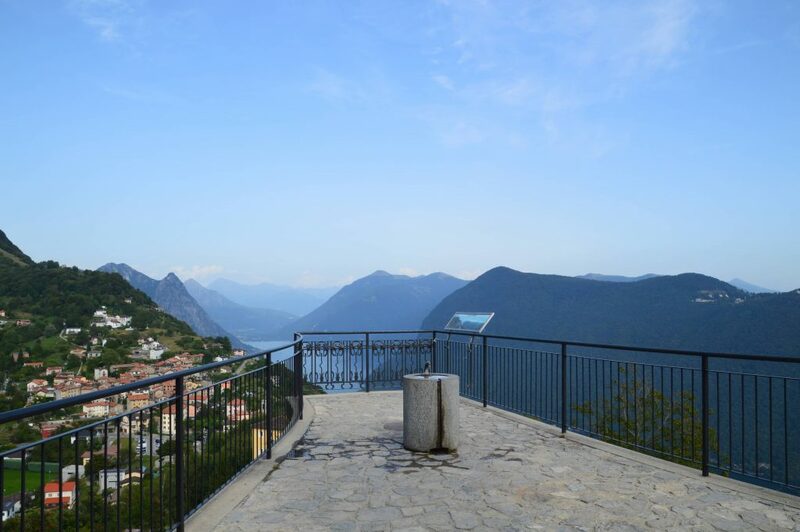 Viewpoint overlooking Brè village and Lugano lake. Sentiero dell’olivo – If you are looking for an easy walk by the lake with some cute villages along the way then visit Sentiero dell’olivo. This easy trail from Gandria to Castagnola is only 3.3km long and offers lovely views. 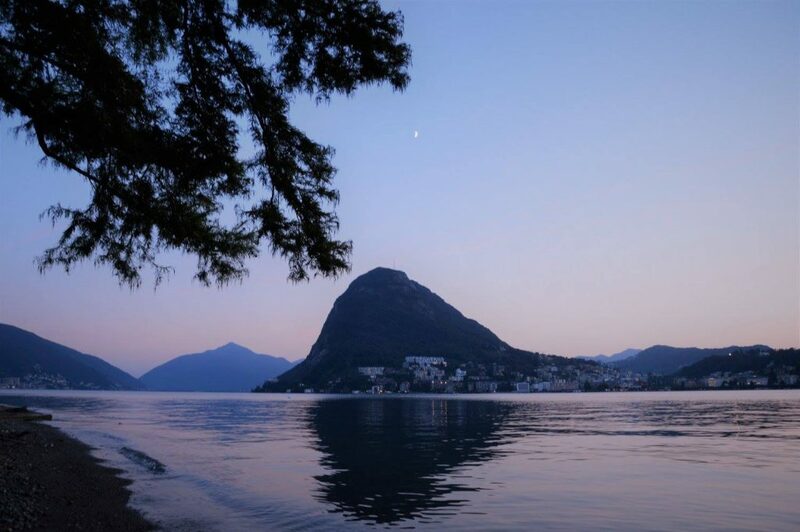 After you have finished your hike you can take a boat ride back to Lugano. Most boat rides are included in the Swiss Travel Pass deal. 2. 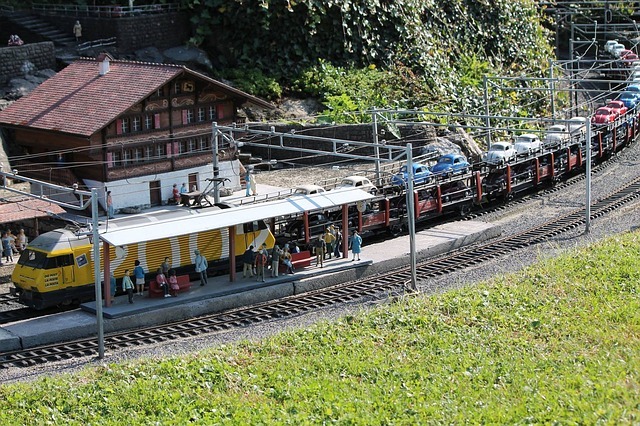 Swissminiatur – if traveling with kids then this option might be more appropriate. An amusement park with miniature models of famous Swiss sights. Adult tickets are 19 francs, while kids up to 5 years get free entry. Buy tickets online to get a cheaper deal. 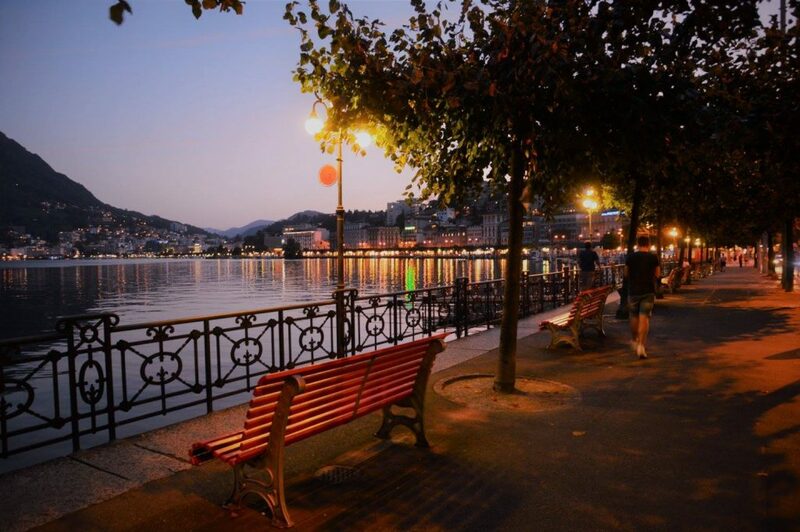 In the evening spend the time strolling the streets of Lugano and visiting Park Ciani, where you can even take a dip in the lake! Alternatively, if you still have some time left and didn’t have time to do it earlier go on a boat ride. For an amazing and intimate sunset (or great panorama views) head to Sasso Delle Parole Panorama. View from Sasso Delle Parole Panorama. 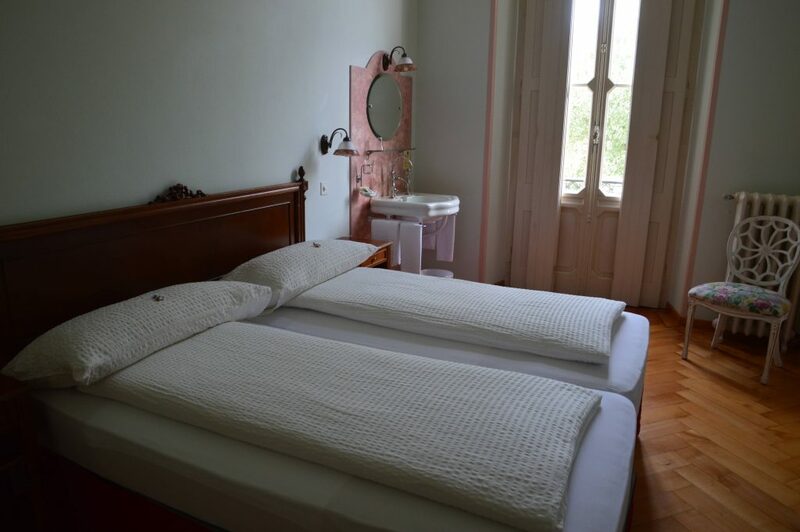 If you are looking for budget accommodation with free parking options there are 2 reasonably good places – Albergo Montarina and Grotto Flora B&B. More time in Ticino? 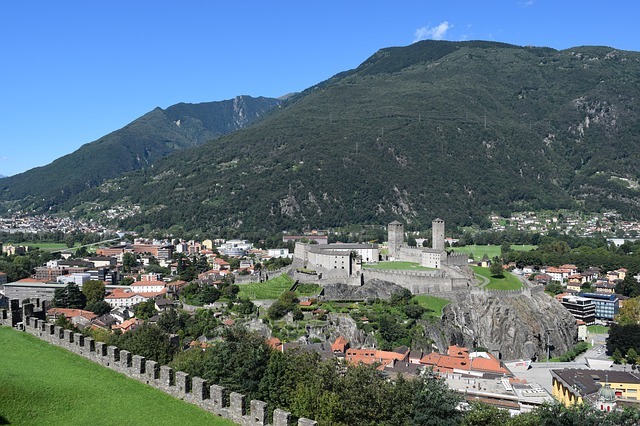 Visit Bellinzona and its many castles.